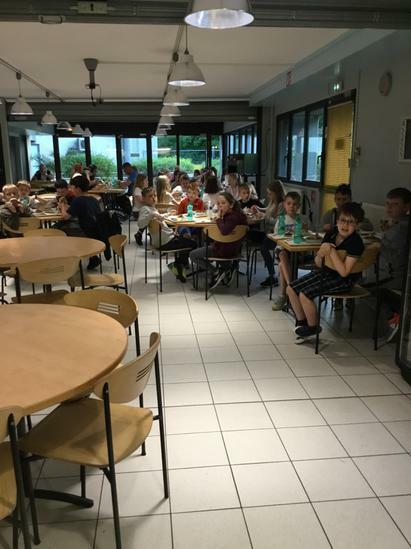 Monday 8.00pm- The children have arrived safe and well at the hostel in Reims - we will try and post some photos on the website later but I think they probably want their tea first! 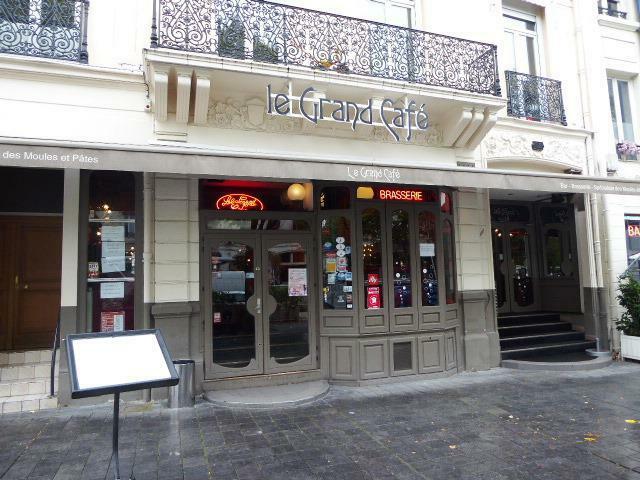 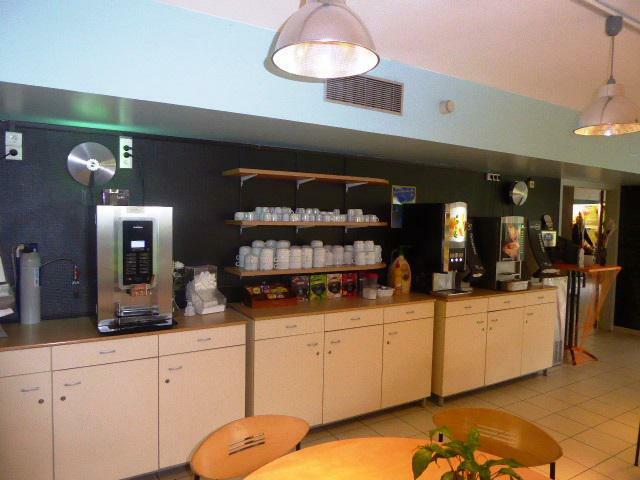 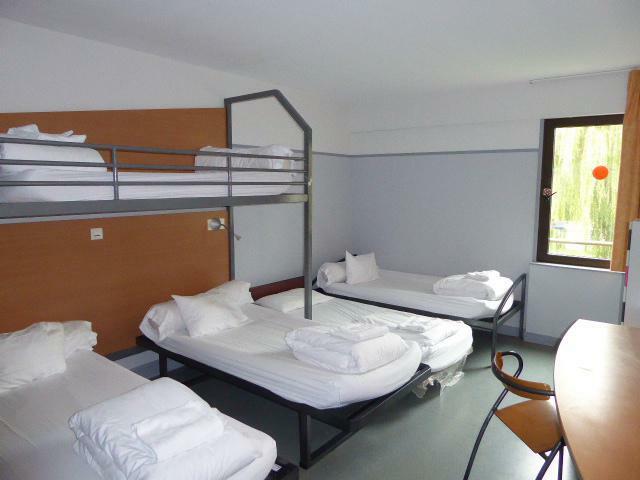 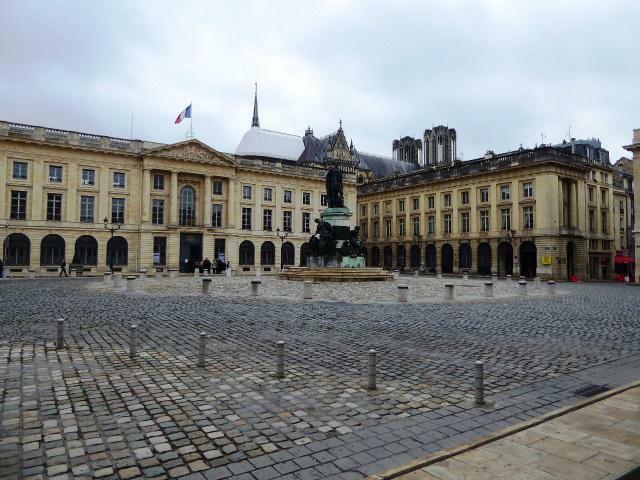 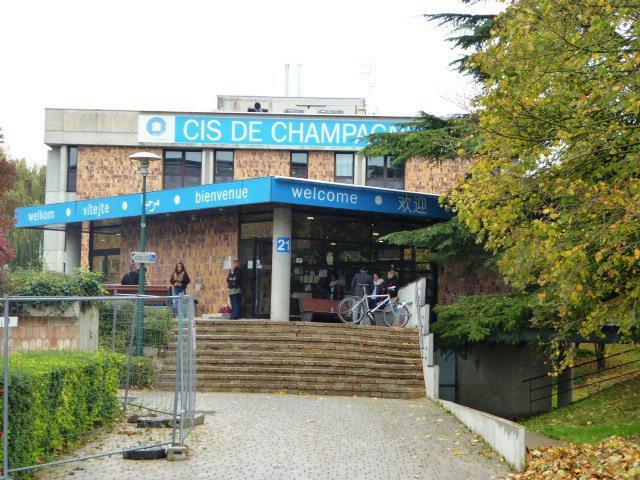 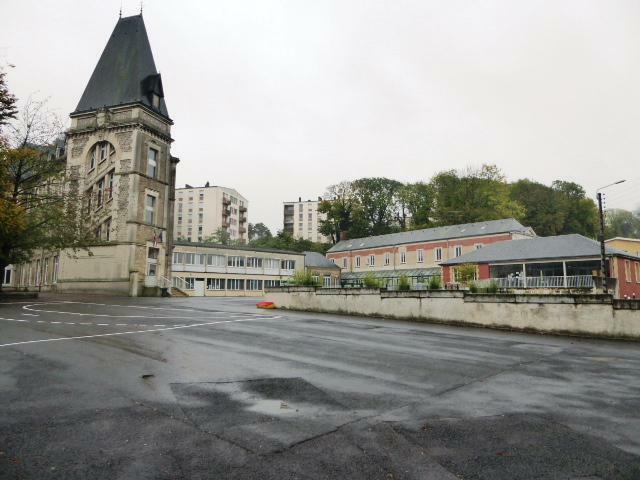 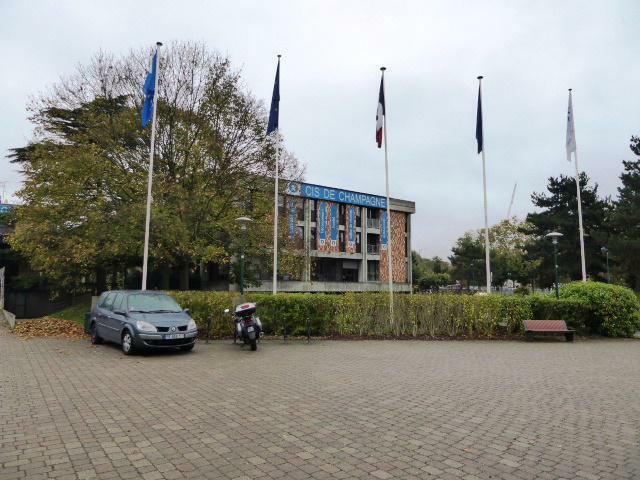 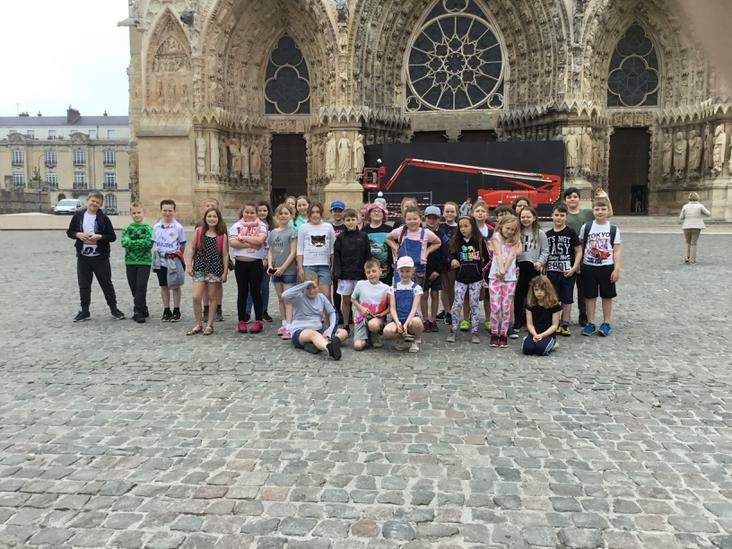 Tuesday 8.15am - It was a long day yesterday and the children arrived safely at the hostel in Reims at about 7.30pm. 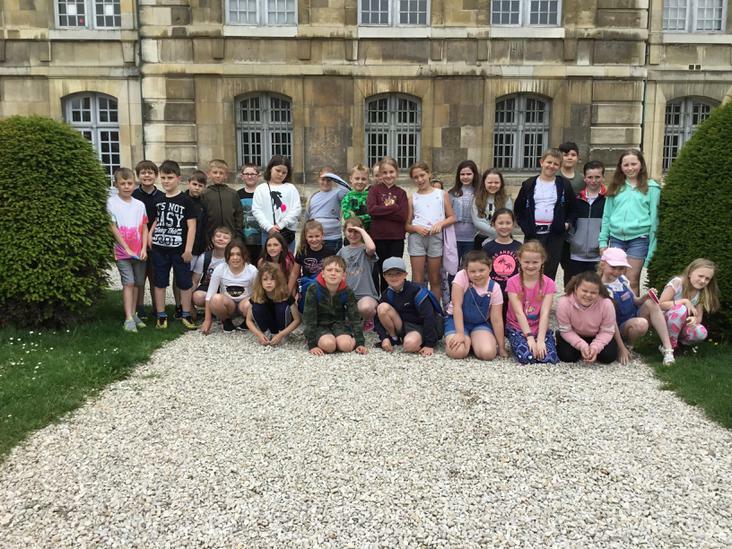 They have all slept well and enjoyed their breakfast this morning. 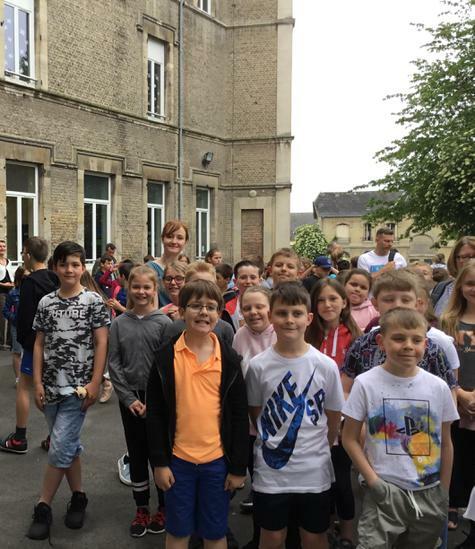 They are now en route to our partner school in Rethel. 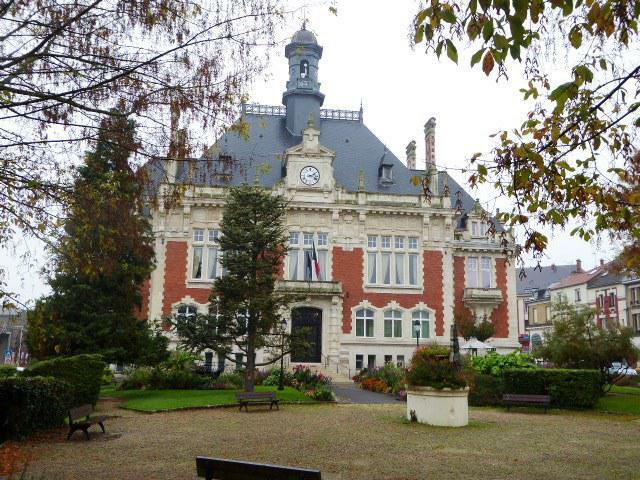 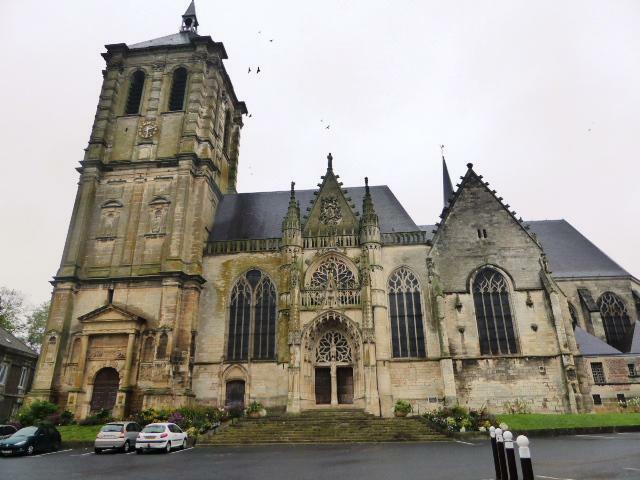 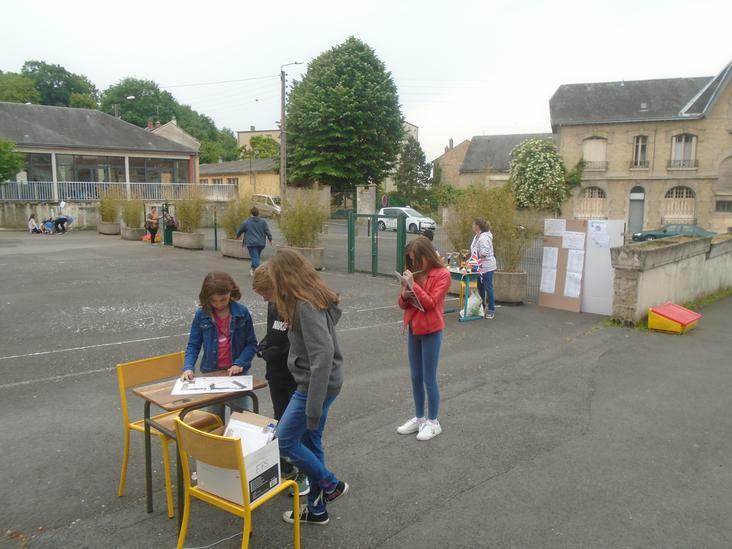 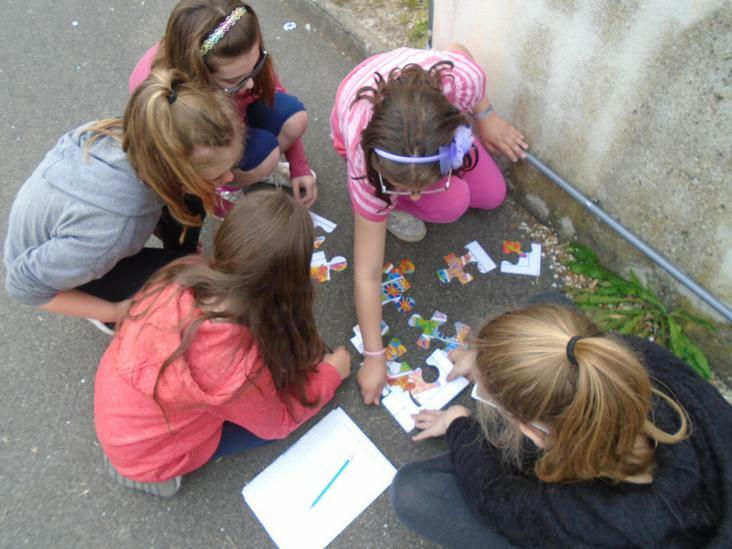 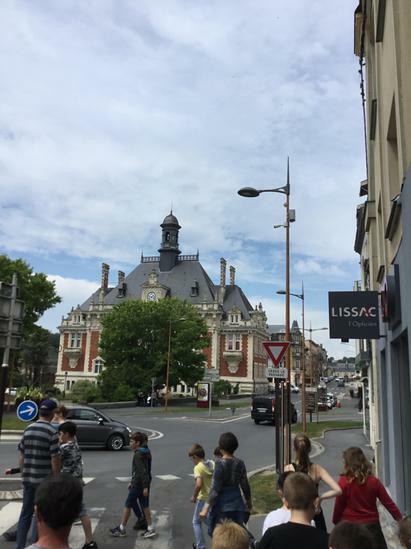 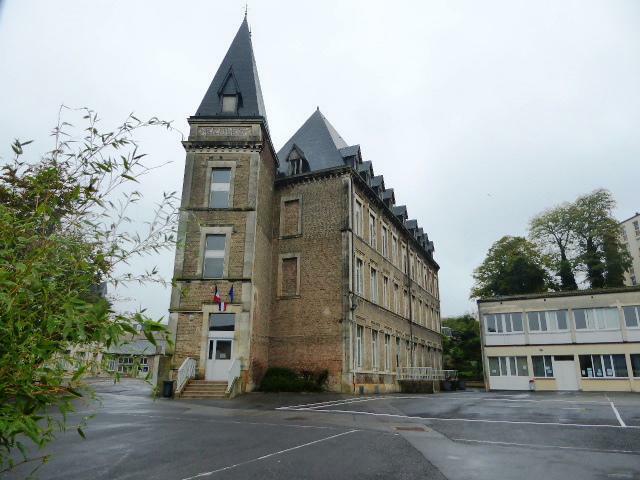 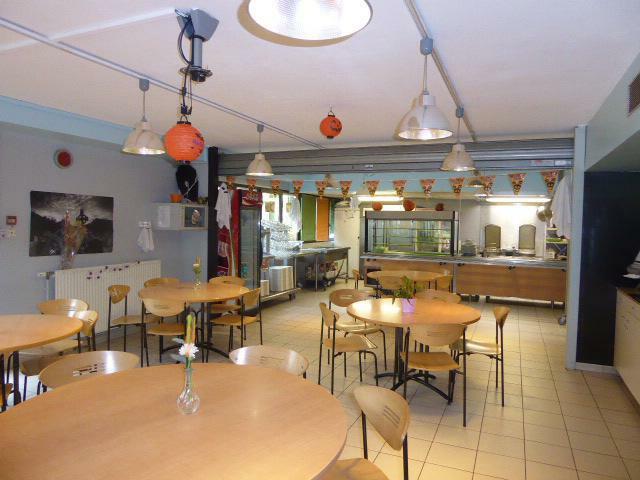 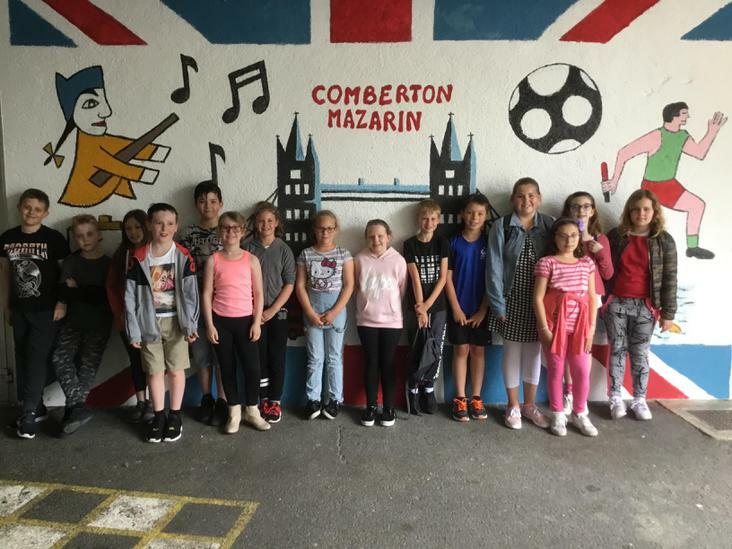 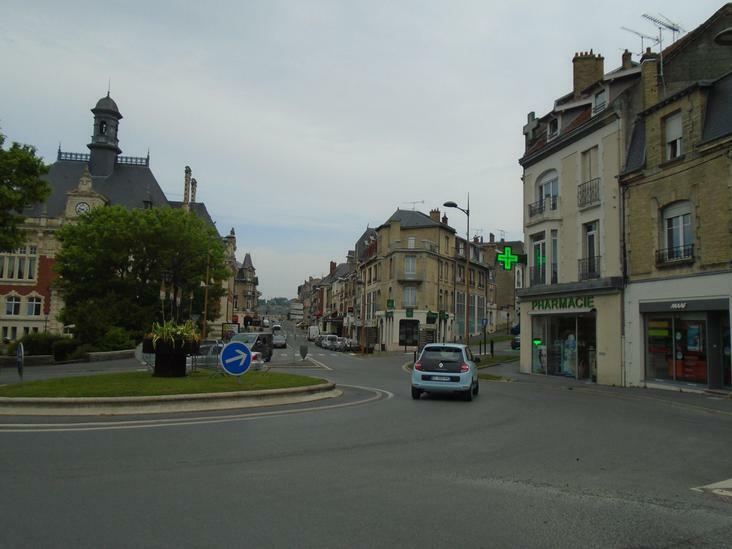 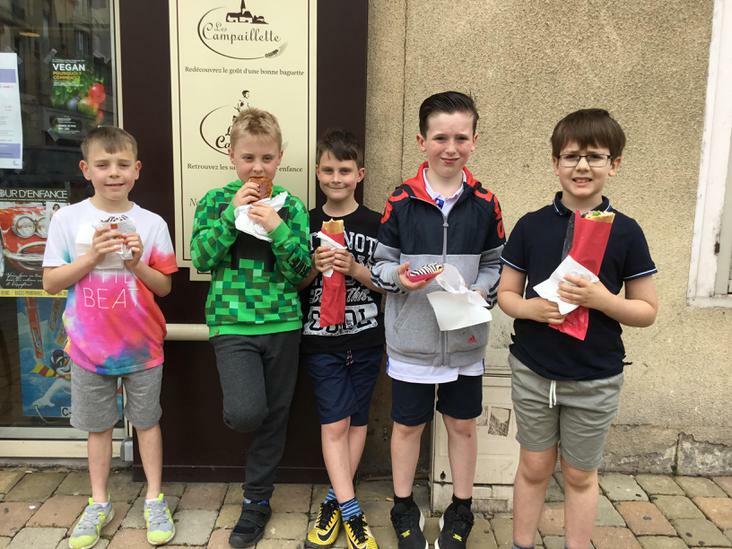 Tuesday 2.00pm - I have just spoken to Mrs Childs and the children are having a great time at their partner school - cooking, orienteering, flag making and a tour of the town of Rethel. 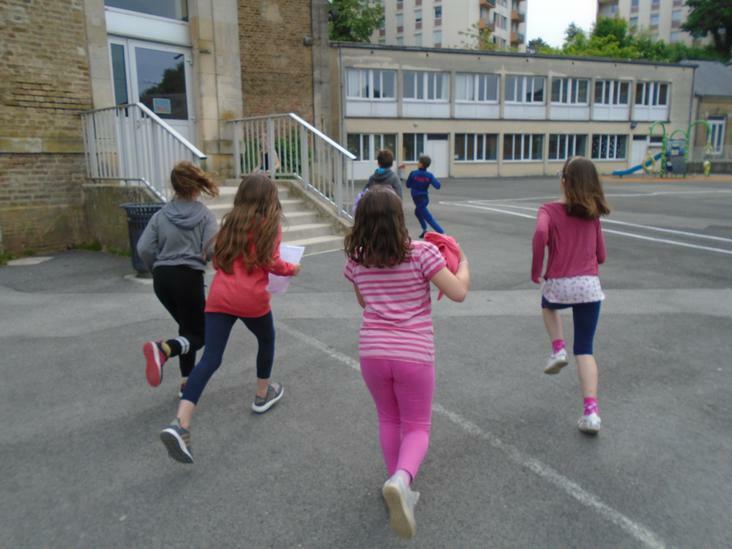 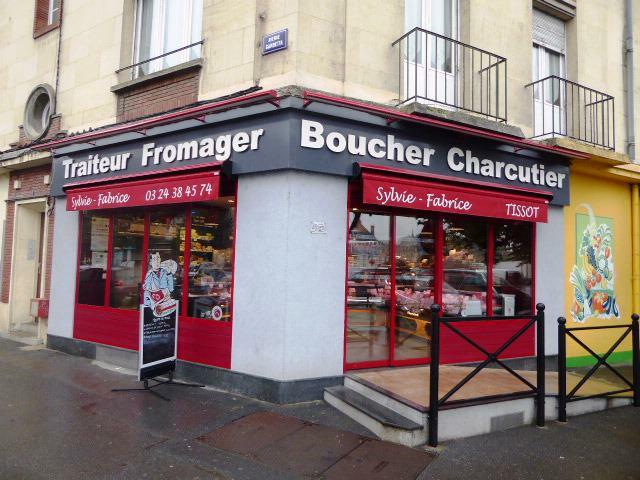 They're off to the French supermarket at about 3.30pm to spend their money! 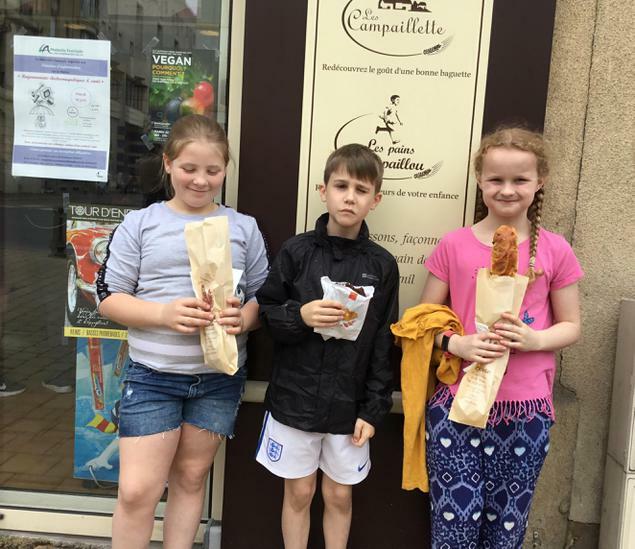 Tuesday 7.00pm - The children have enjoyed their day at our partner school as well as their visit to the Carrefour supermarket. 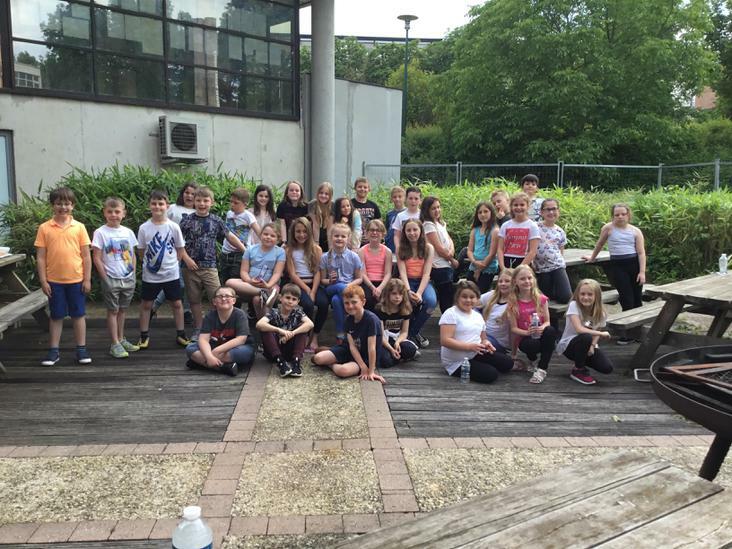 They are now back at the hostel ready for tea. 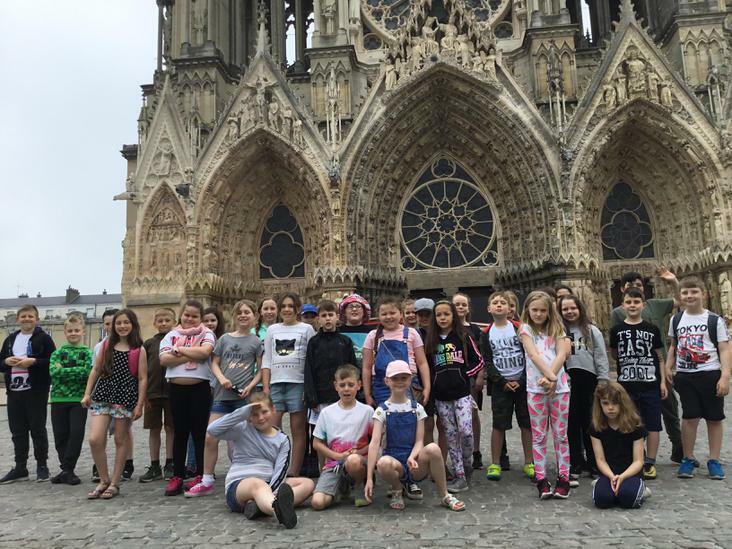 Wednesday 9.00am - The children slept well, are up and breakfasted and looking forward to exploring Reims and the adventure park. 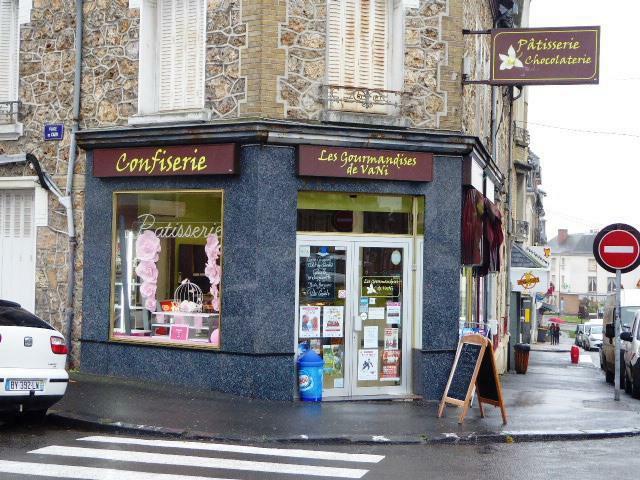 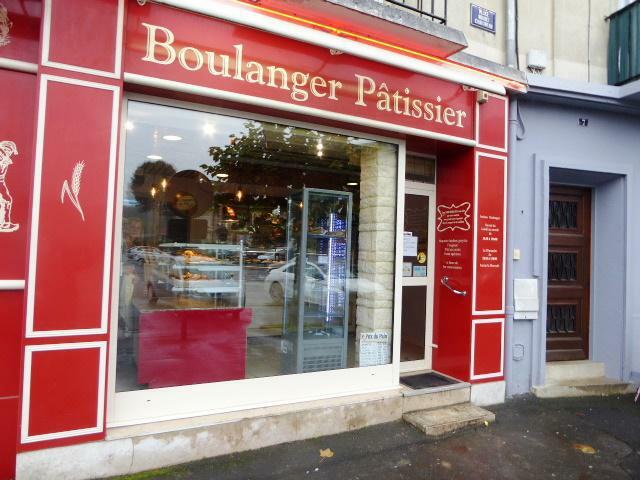 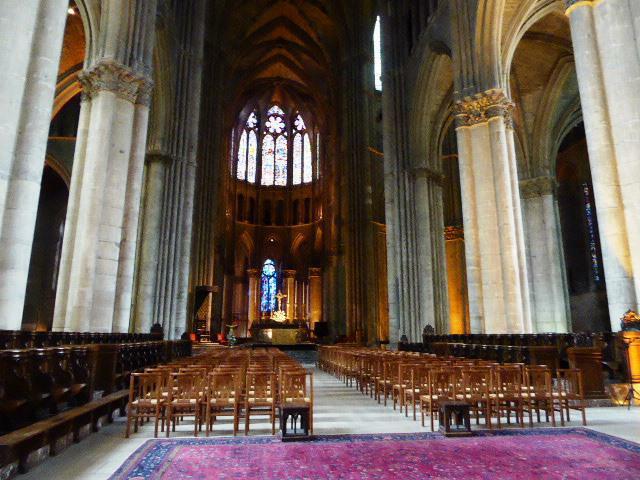 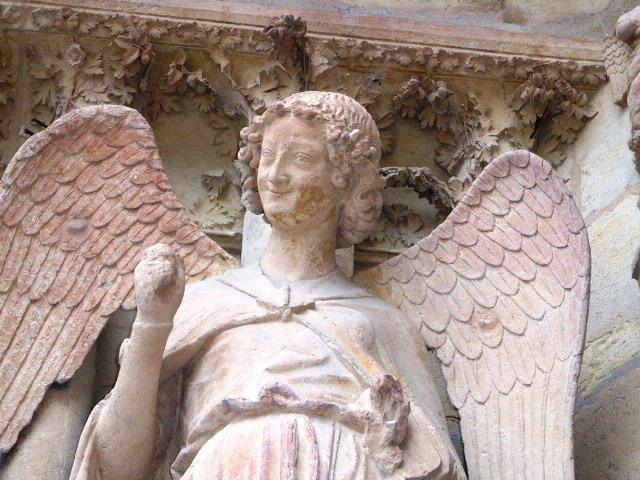 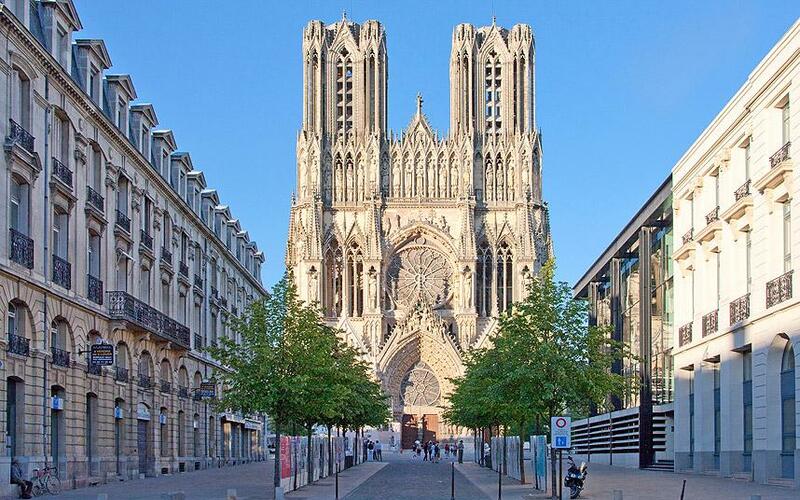 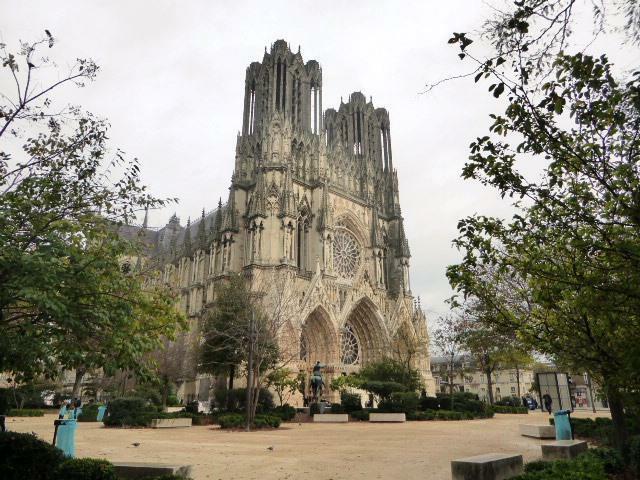 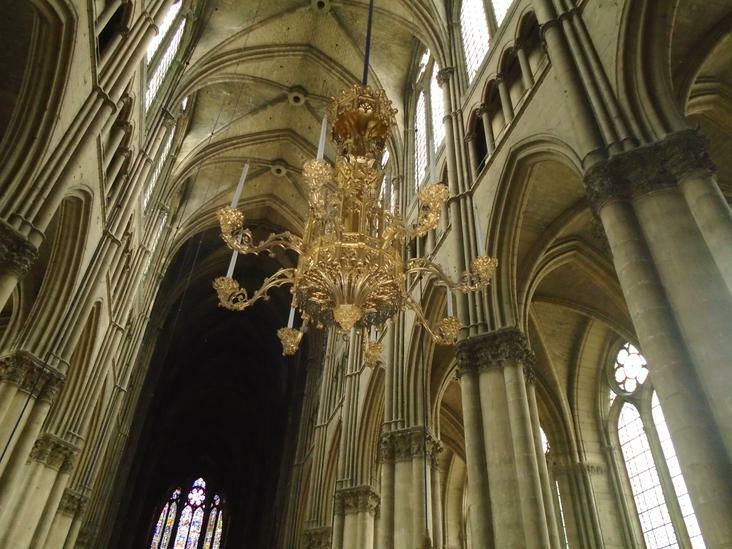 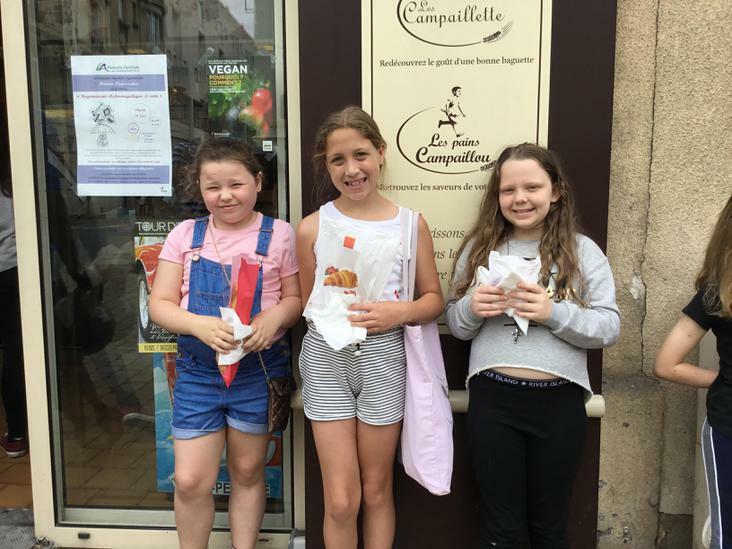 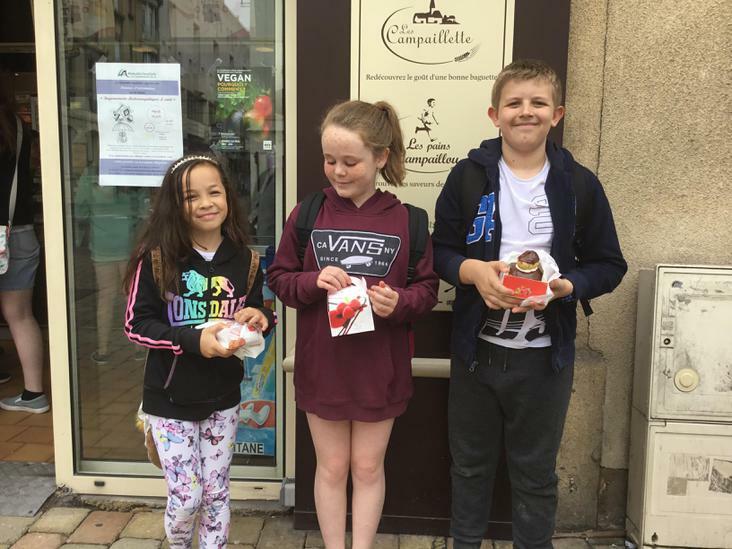 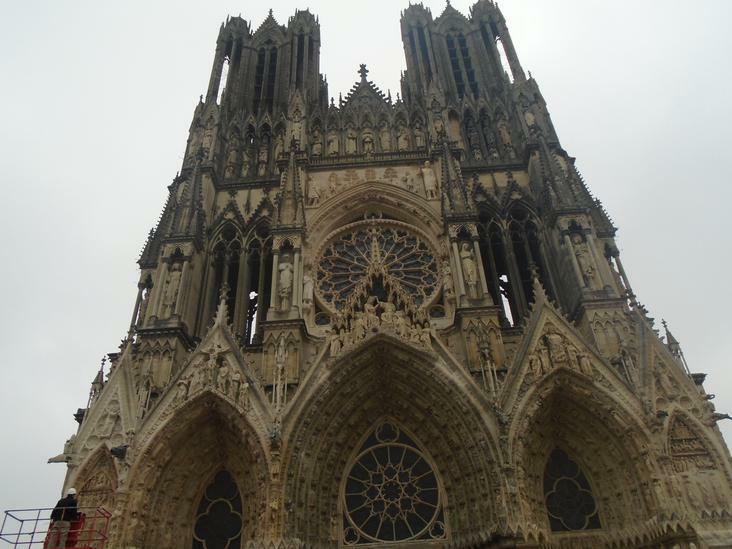 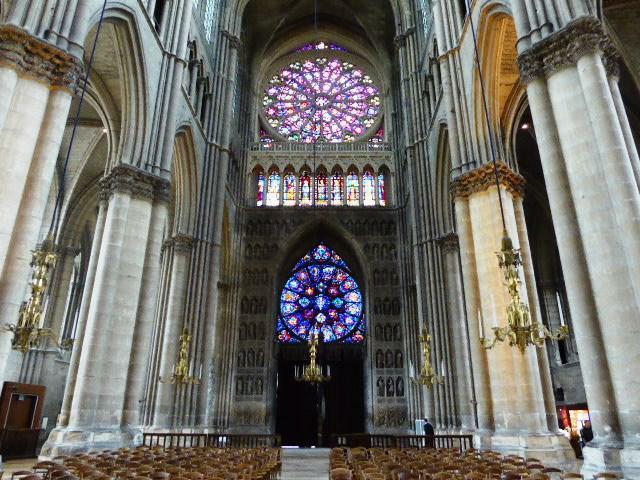 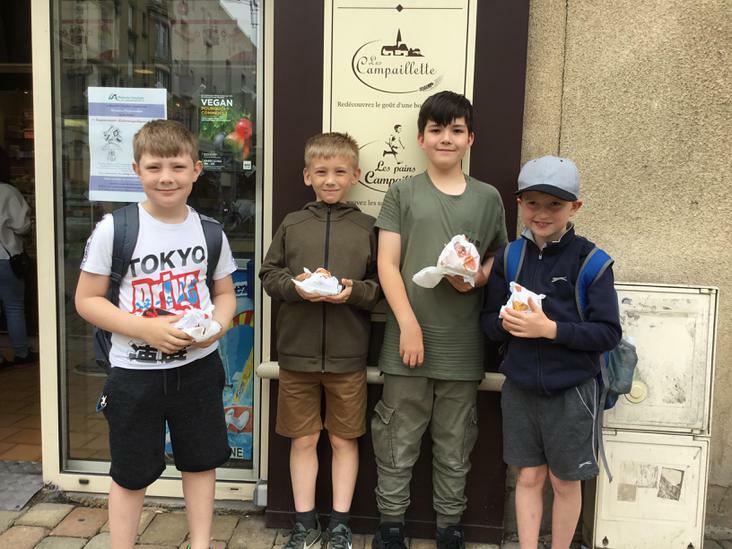 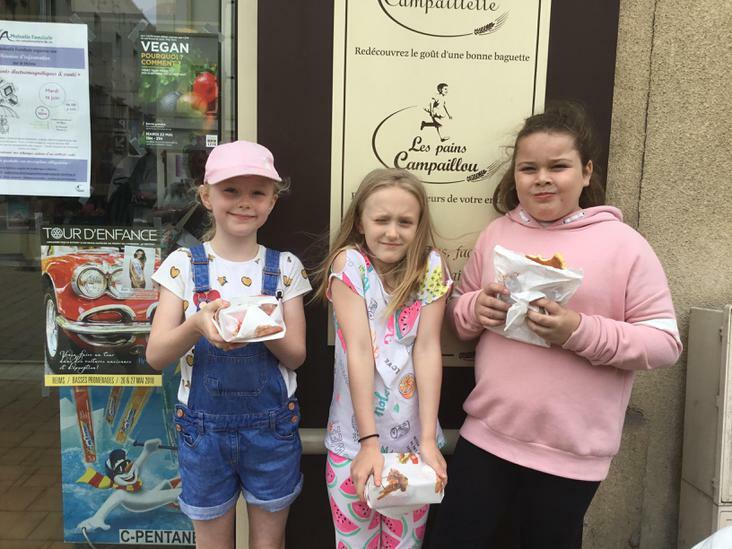 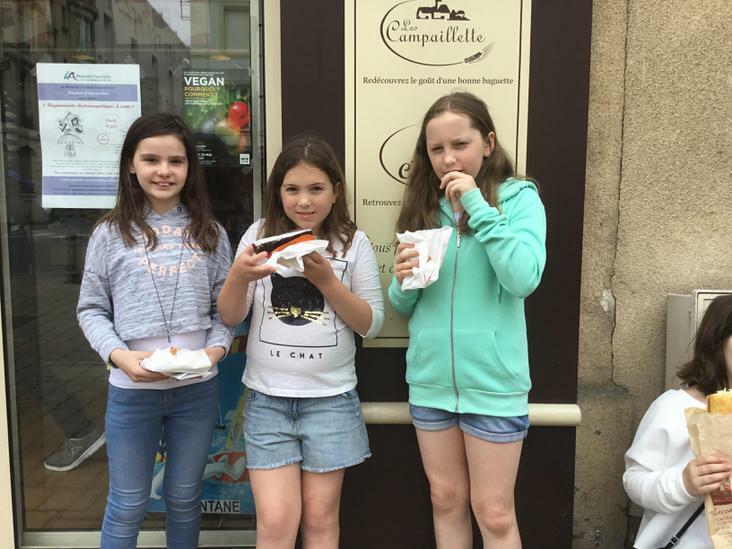 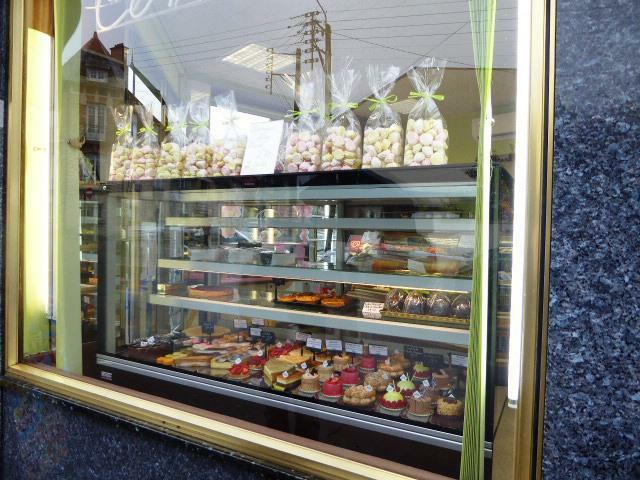 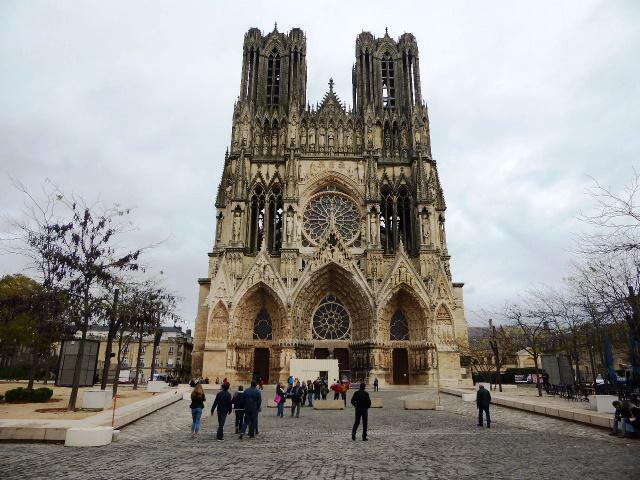 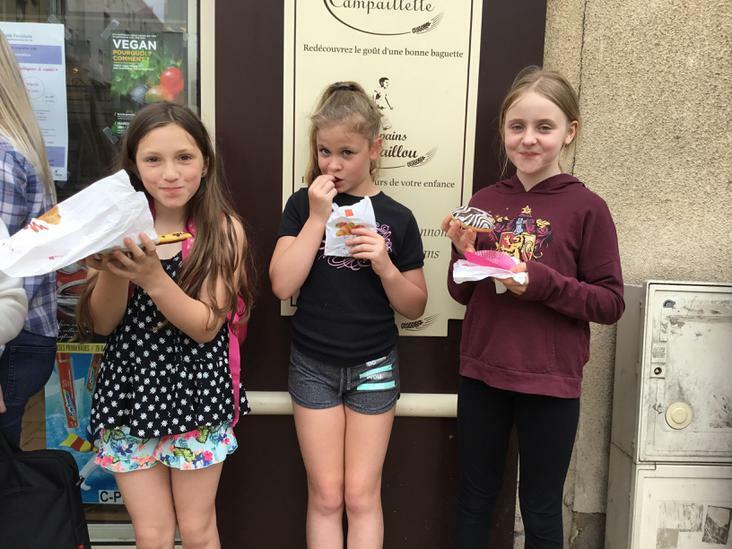 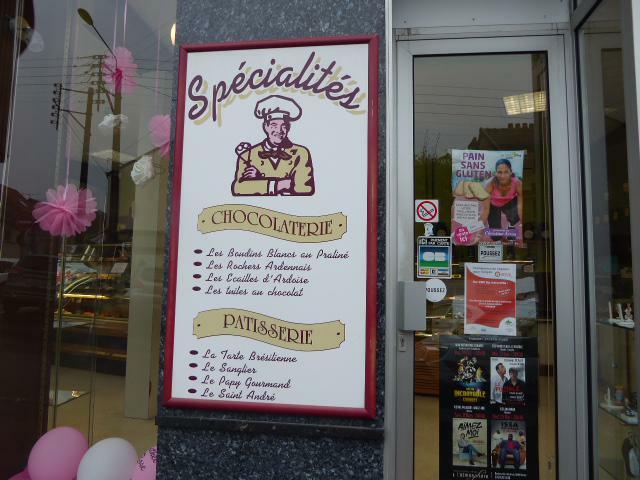 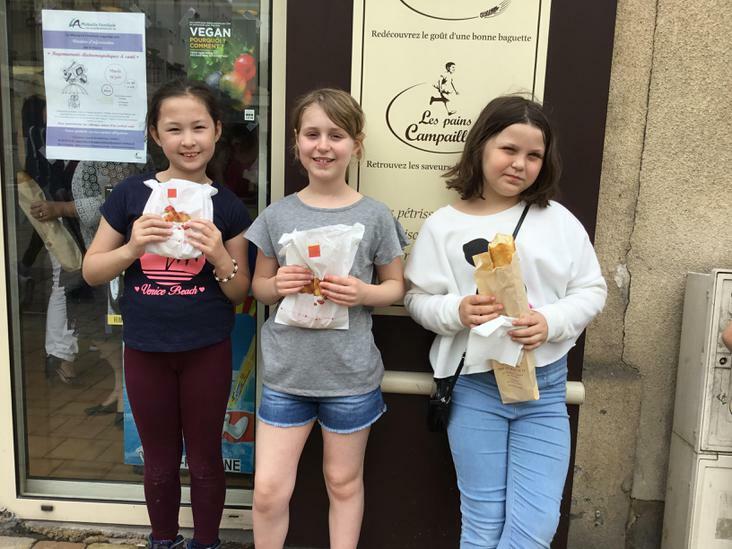 Wednesday 1.30pm - The children have visited Reims cathedral this morning and then stopped off to practise their French in a local patisserie where they ordered themselves a cake each. 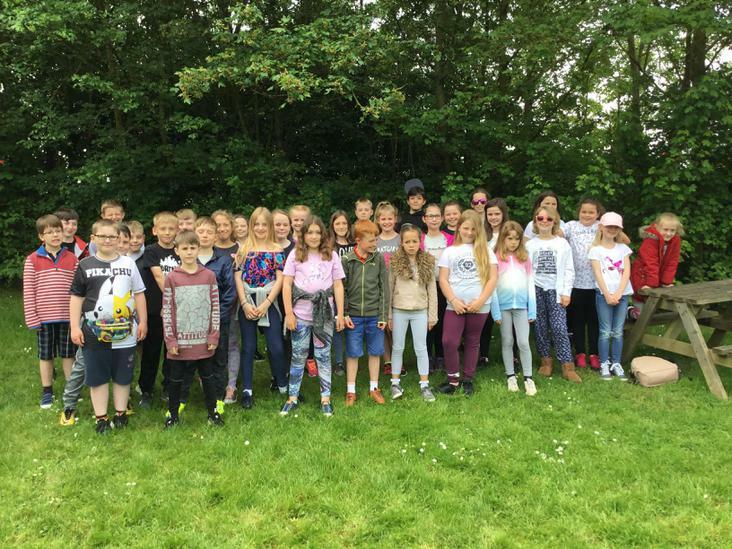 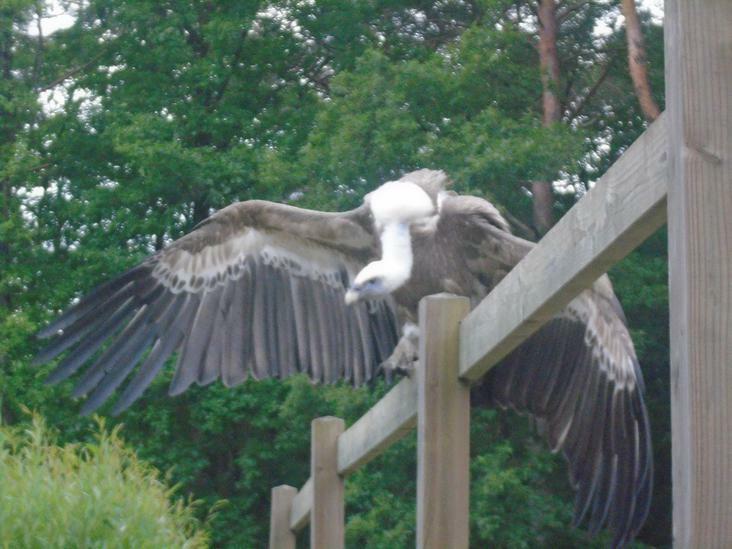 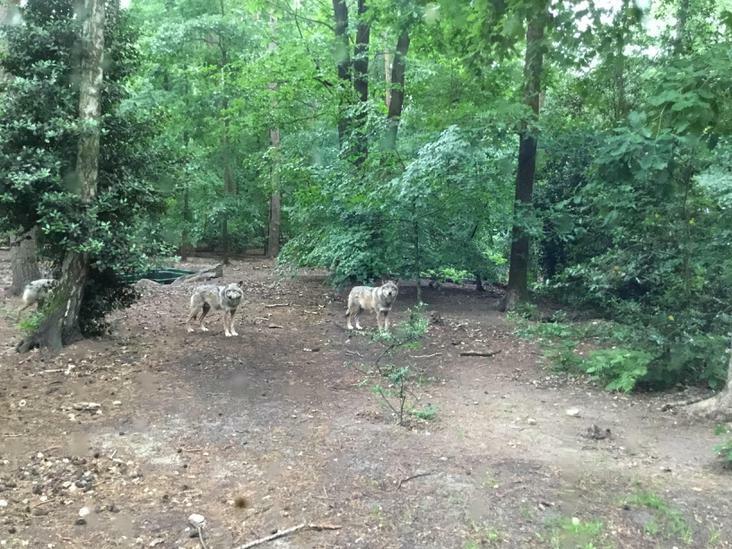 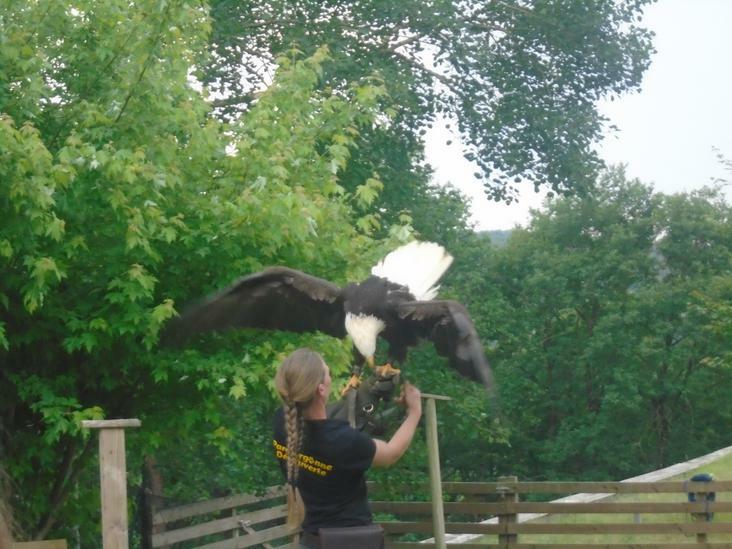 They are now enjoying the adventure park. 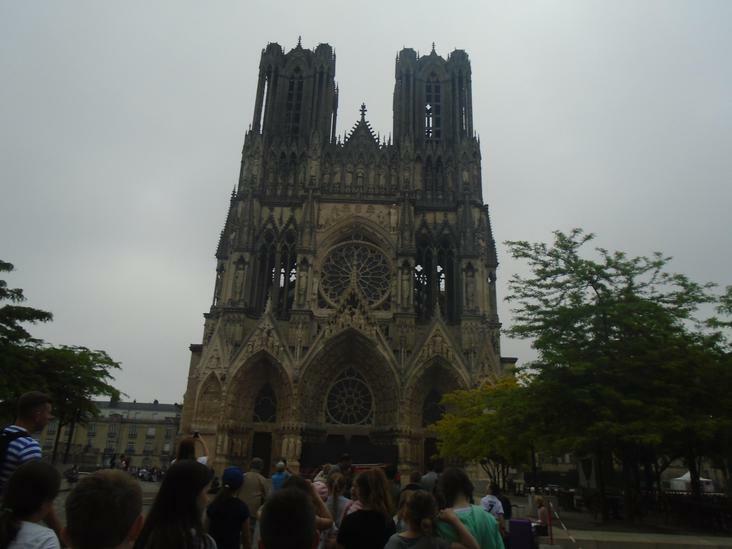 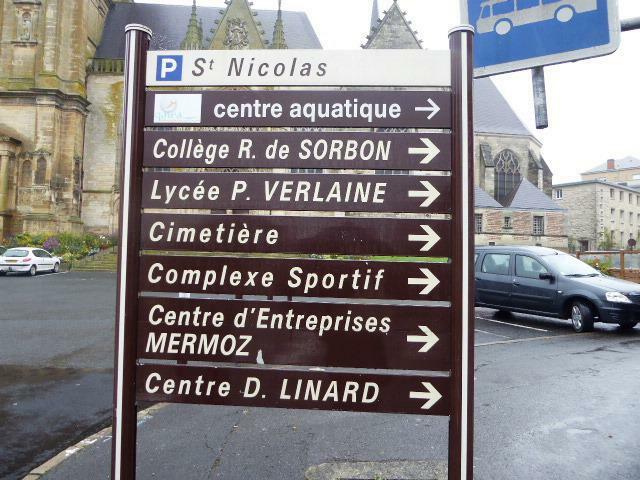 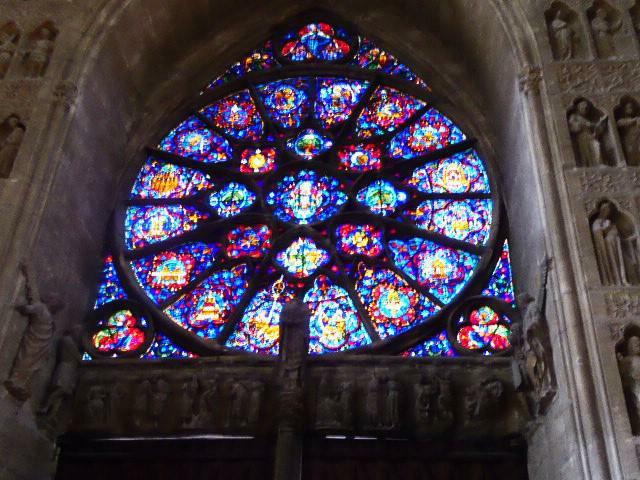 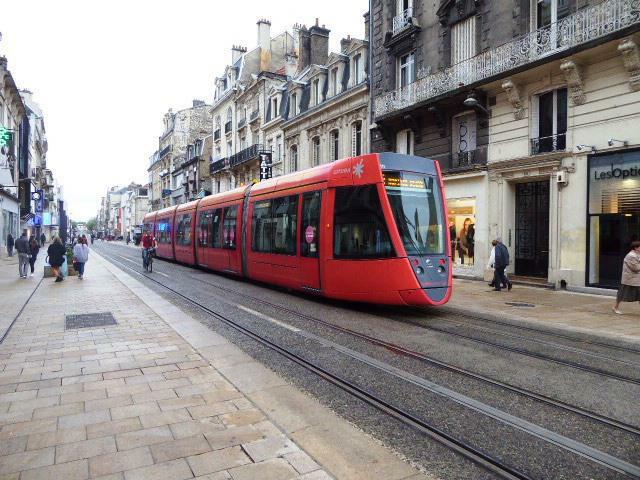 Thursday 9.30am - The children have departed the hostel in Reims and are on route home. 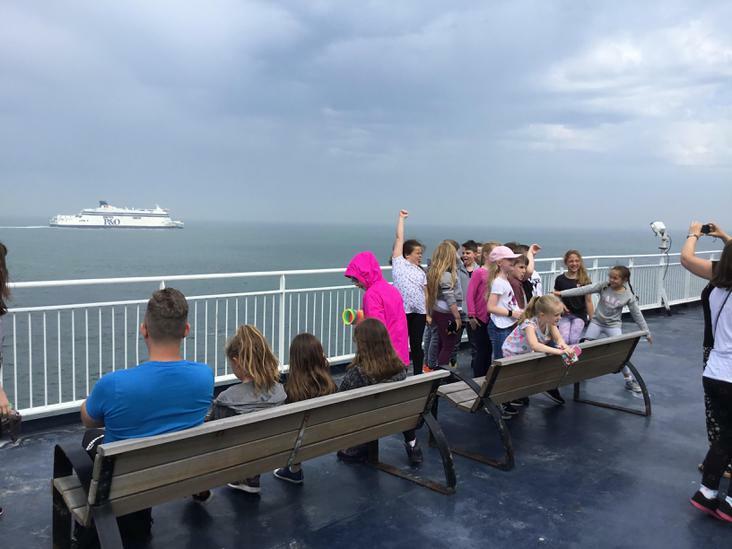 We will update you when they have completed the ferry crossing but they are hoping to be back at school for 7pm. 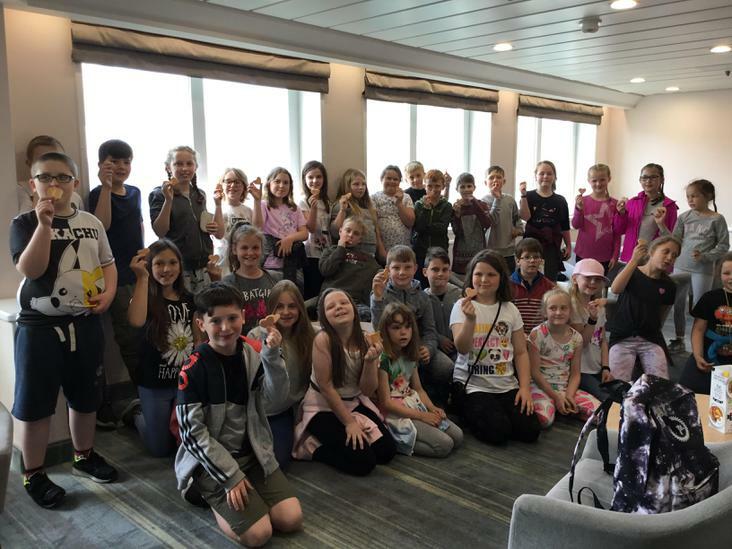 Thursday 2.00pm - The children have completed a safe ferry crossing and are now on the motorway back in England. 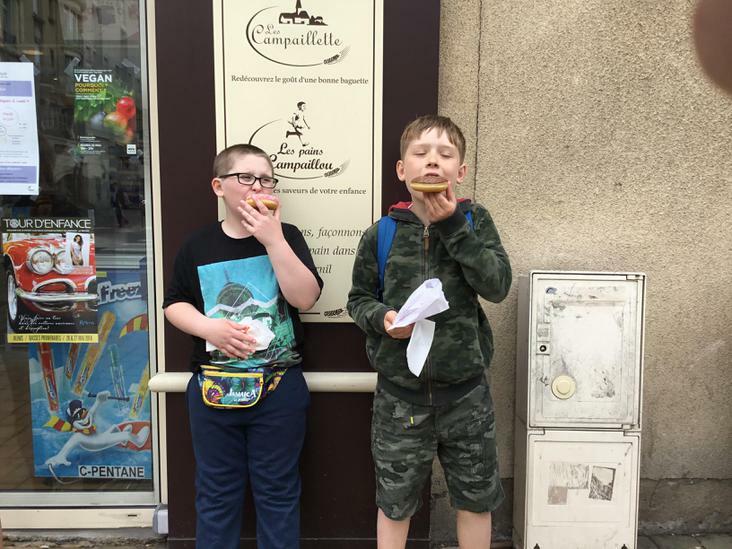 We will update you when we have a better idea of their arrival time back in school. 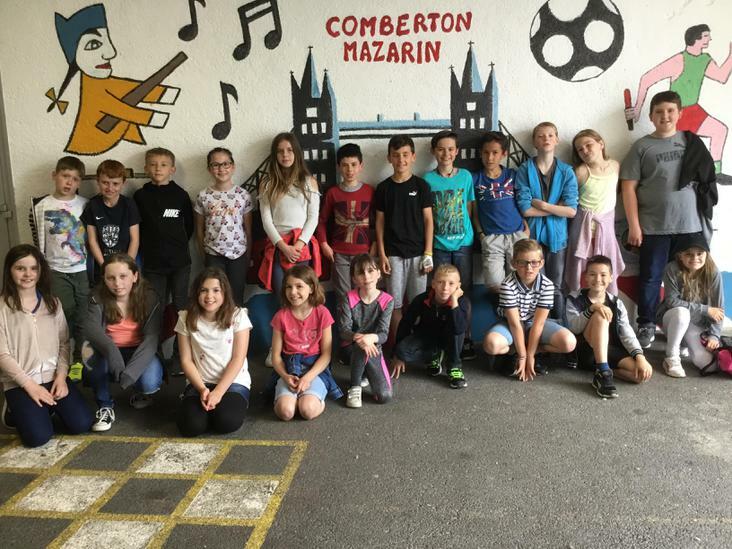 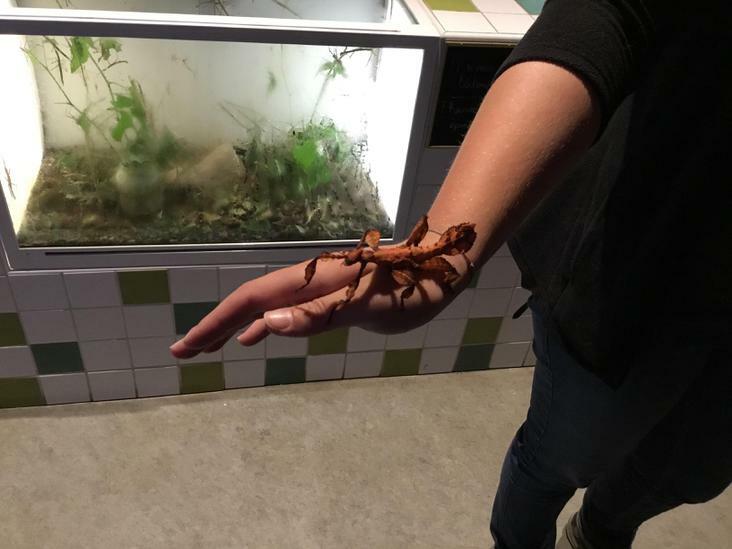 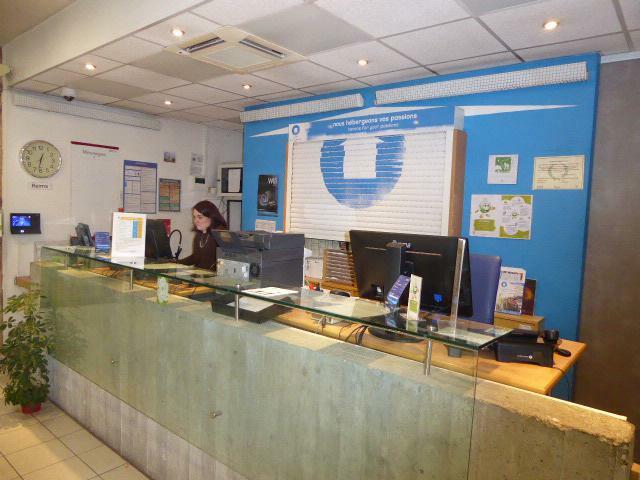 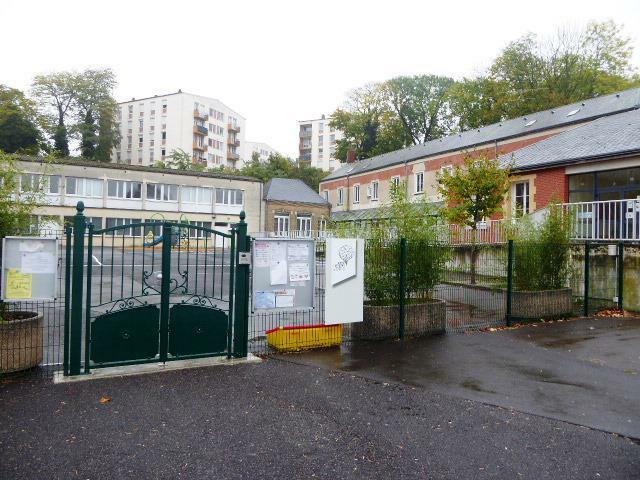 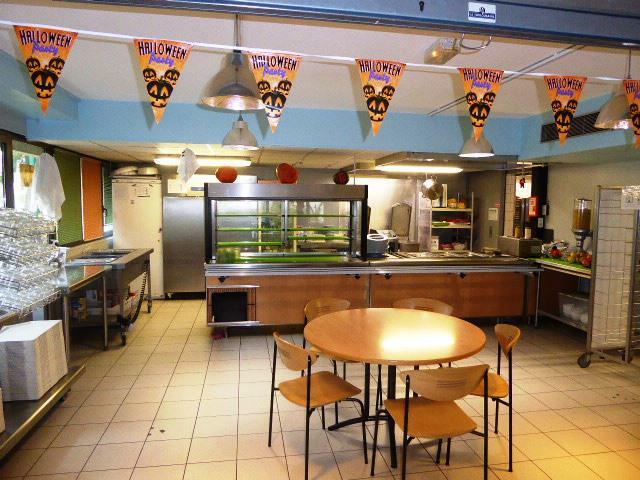 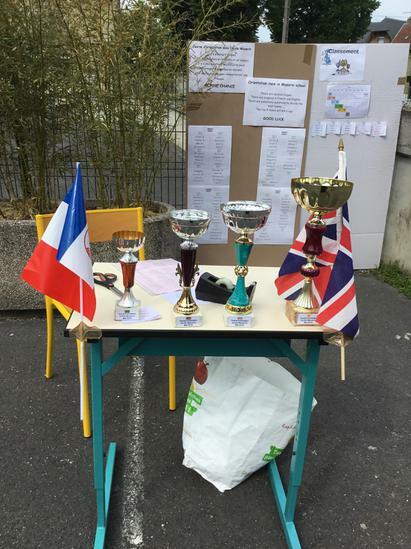 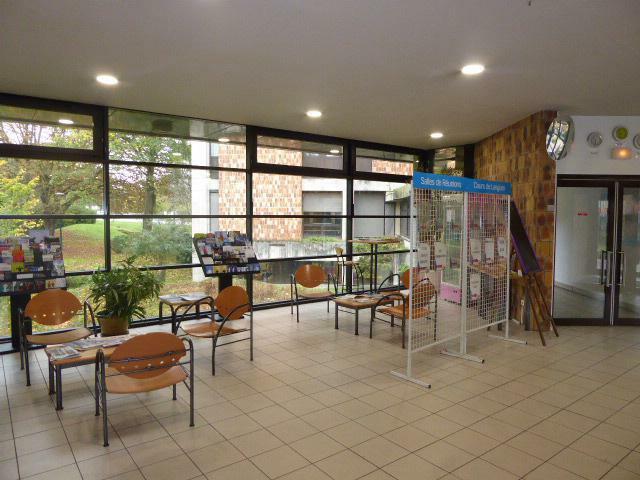 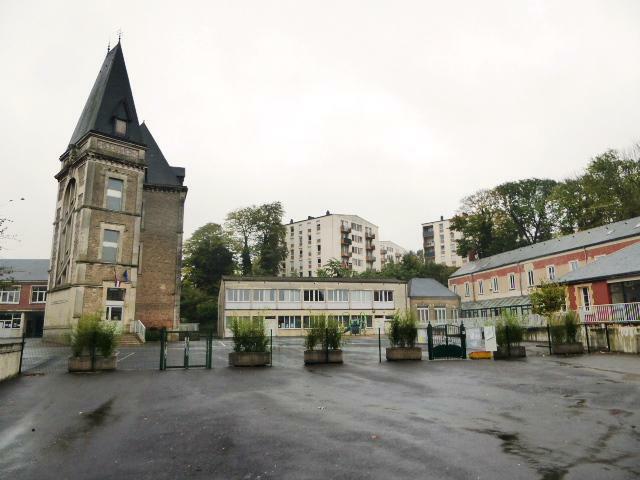 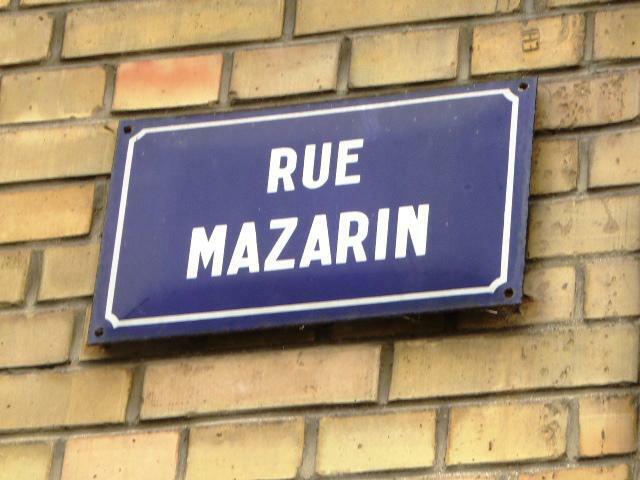 You may recall that in March, we were visited by our French partner school: Ecole Mazarin. 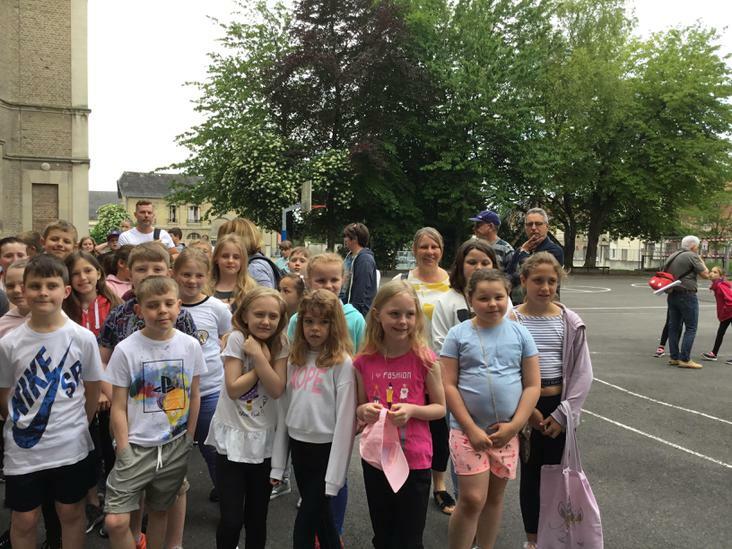 The event was a great experience for all children involved and a chance for both schools to practise their language skills. 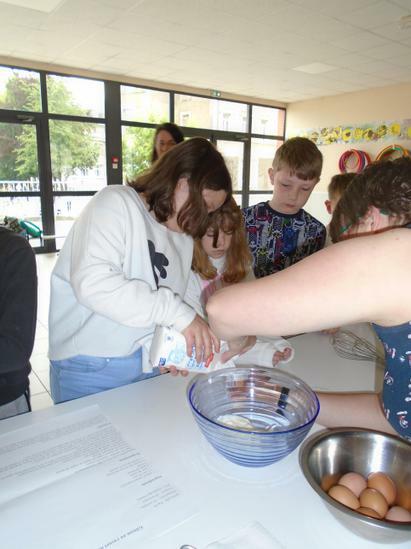 The visiting French students worked alongside our current students and participated in a range of activities throughout the day – an event I am sure they will remember for the rest of their school days. 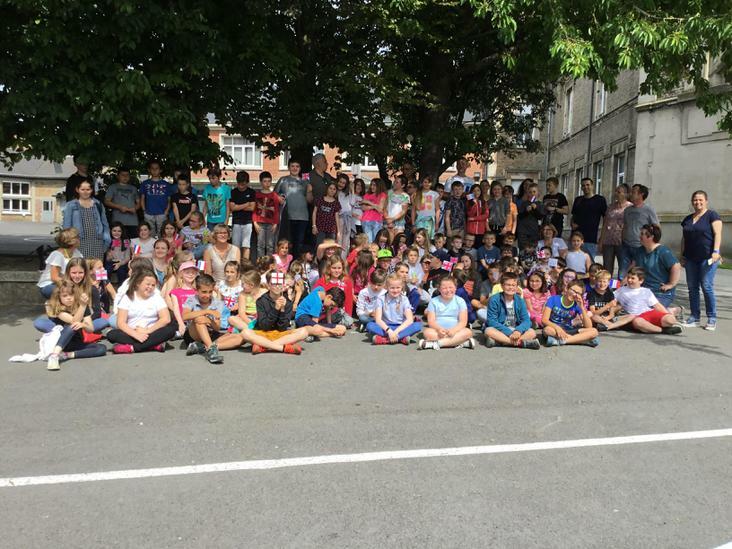 As part of our relationship with Ecole Mazarin, they have invited us to visit them in France in 2018. 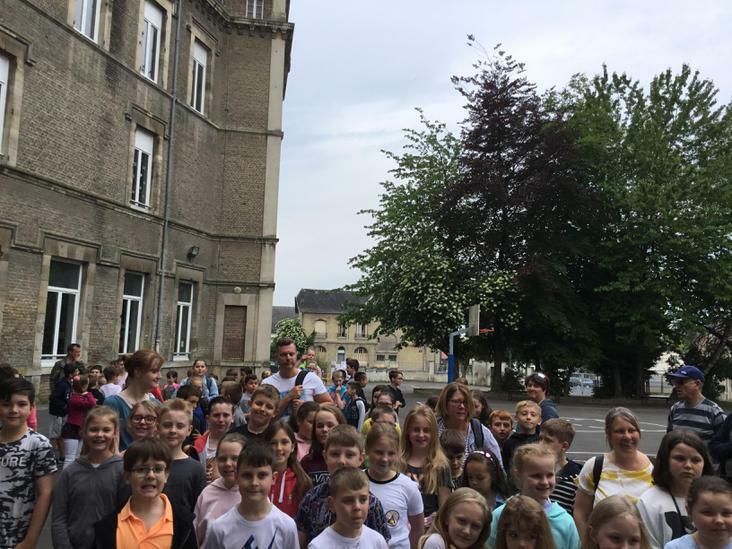 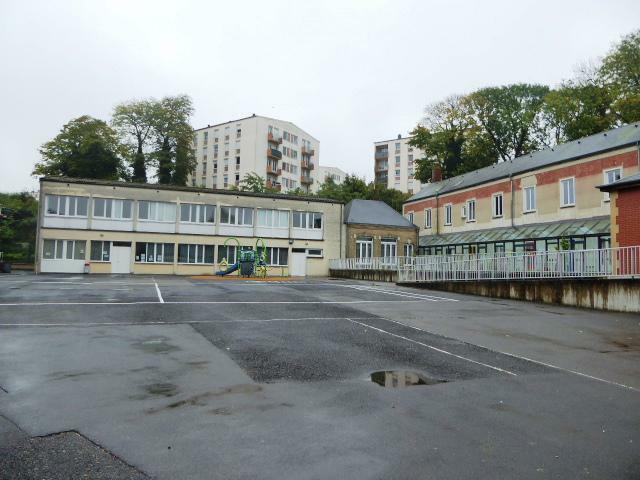 Their school is based in the town of Rethel, in the Ardennes region of France, and we will be visiting them from Monday 21st - Thursday 24th May 2018.